It is difficult to say in which area onion is originated as several hundred varieties of onions grow wild in temperature climates all around the world. 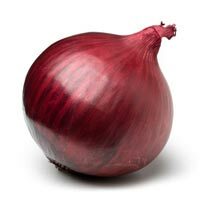 The Egyptians left onions in their tombs about 3,500 years ago In fact , the mummy of king ramses the 4th has onions in the eyes sockets because they had some spiritual significance , paintings of onions appear on the inner wall of the pyramids of unas and peni. for that nana wanted to export onion all over the world for its spiritual significance. 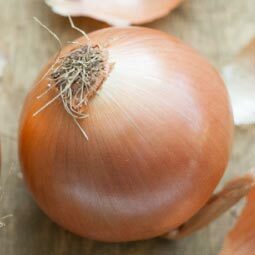 onions are low in calories only 60 calories per one onion. inaddition , that onions add abundant flavors to a wide variety of food . it contains vitamins c as much as orange and twice apple. it can also be used as a remedy because onion have naturally occurring compounds that have been reported to reduce blood cholesterol levels.